A proven, reliable source informs IP2P that Sheldon Sorosky, Rod Blagojevich’s attorney, has confirmed what we’ve long suspected: Blago’s silence has been bought. The payoff is ahead. Here’s how it stacks up. Rod Blagojevich is free to talk publicly about any, and all, of the phone conversations recorded by federal agents. And, there’s no protective judicial order restricting him from doing so. When asked why his client would pretend he’s prohibited from talking about the conversations, Sheldon had no clear explanation. Sheldon was then asked: If the contents of the tapes prove Blago is innocent, why has Blago remained silent? Sheldon has no clear explanation. When asked if Rod Blagojevich's pending appeal would be based on the claim that the defense could not play the tapes, Sheldon said that the appeal would focus on specific tapes. Then, Sheldon was asked – why, if those specific conversations would prove Blago innocent, hasn’t Blago identified those with whom he had those conversation, and what those conversations were about, Sheldon acknowledged that nothing restricts Blago from revealing that information. Oh, okay, nothing stops Blago from talking. We get that. Here’s what we at IP2P suggest: Sheldon should just put Blago's recollection of those conversations in his appellate brief due May 30, 2013. Absolutely nothing prevents him from doing that. Nothing, that is, unless there’s a deal in place that assures that the public never knows what’s on those tapes, in exchange for a significant reduction in Blago’s jail time. 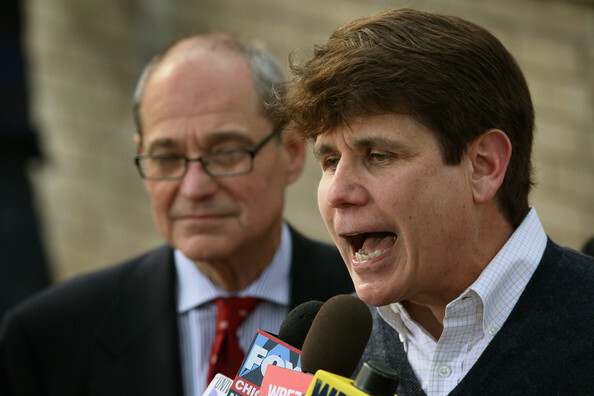 In short, we believe Blago's silence has been bought. It is the Chicago Way. Right? The underlying question is this: Besides getting himself an early Out-of-Jail Card, who is being protected by Blago’s silence?